If you are searching for a new family tradition for Christmas then look no further. 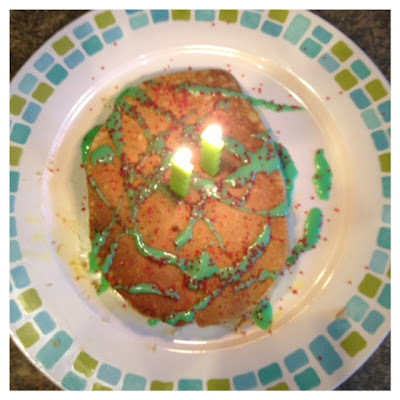 Our family started making "Happy Birthday Jesus Pancakes" three years ago. 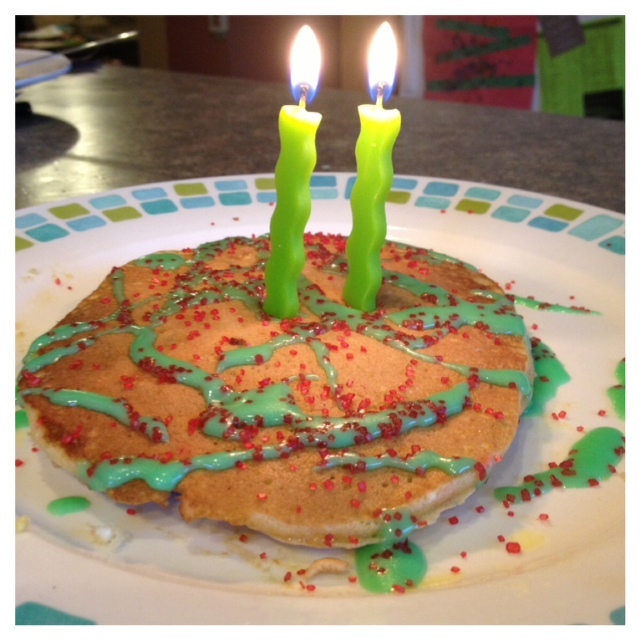 The first two years I made regular pancakes and added sprinkles but this year will be much different. Instead of using a pancake mix we are truly having a birthday party when we use a cake mix and home made frosting and sprinkles to celebrate our Kings birthday. This is very simple all you need is a yellow cake mix, sprinkles, powdered sugar, vanilla, butter, milk, and candles. Add the frosting to the pancakes, add more sprinkles, put on the candles and then sit down Christmas morning and celebrate His birthday like you do your children's by singing HAPPY BIRTHDAY! Each family member also gets to blow out candles for Jesus. 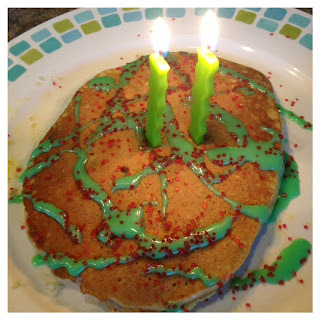 Your children will ask for these pancakes again... yummy cake for breakfast no complaints at this house! My daughter was concerned because we did not have enough candles for Jesus! I love her innocence and heart! Maybe next year we will buy the number candles!